FC Barcelona board has unanimously named Johan Cryuff as the Honorary President of FC Barcelona. Johan Cryuff is the most successfuly player and coach Barca ever had. Barça’s corporative director general, Joan Oliver siad that "It is an honour to recognise him". Indeed it was just a decision waiting to happen, as Cruff always has been a very influential figure. He was always been a fatherly figure to Barca management, a voice which is revered for many Barca fans. His impact on the the club can be seen at all levels, especially in the playing style which resembles the "Total Football" philosophy. Laporta always regarded Cryuff's words as God sent and many times he was proven right. Usually a visit to Mallorca should not give us much trouble, but not this season. Real Mallorca is having one of the most stunning seasons and currently lies at the fourth position. Their home record has been impeccable this season with losing only one of their home games. But Real Madrid, Valencia and Barca has not visited Mallorca. Earlier this season FC Barcelona managed to beat Mallorca comfortably when they visited Camp Nou. Our last visit to Mallorca ended in a defeat, but that should not be a worry as we only send a second string side after securing the title - FC Barcelona Loses First Match as Champions. Barca fans has been handed good news with both Pique and Xavi getting the green signal from the medical team. Guardiola has included both in the squad which will travel to Mallorca - Valdés, Pinto, Márquez, Milito, Pedro, Puyol, Jonathan, Bojan, Touré, Chygrynskiy, Maxwell, Xavi, Jeffren, Alves, Piqué, Iniesta, Keita, Ibrahimovic, Henry, Messi. 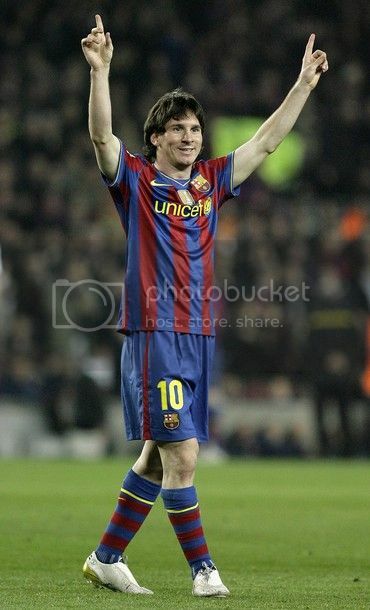 FC Barcelona moved to the top of the table with a hard fought 2-0 victory over Osasuna at the Camp Nou. 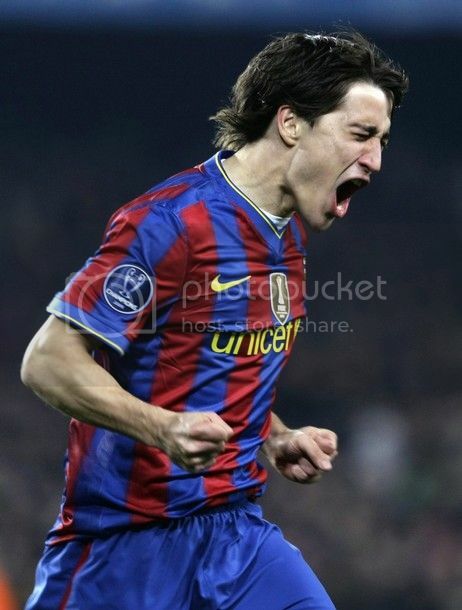 Second half goals from Ibrahmovic and Bojan Krkic was enough to see Barca through a very tricky match. A very well organised Osasuna side made it very difficult for Barca and this match definitely was a good test for the Barca side ahead of the Arsenal clash. Everyone was expecting Lionel Messi to be rested after his recent heroics but that was not to be. 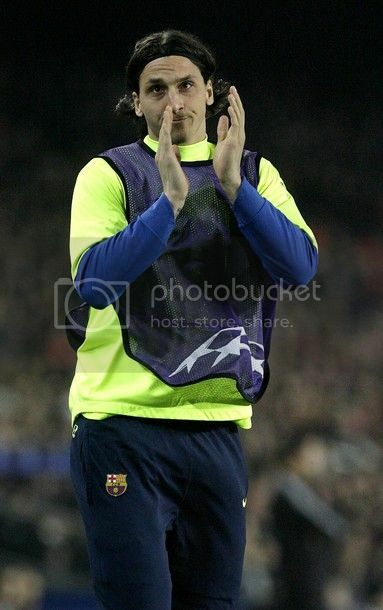 Guardiola lined-up his regular attacking line against Osasuna with Messi pairing Ibrahimovic and Henry. The midfield had the expected look with Iniesta, Busquets and Toure paired together. Maxwell, Puyol, Milito and Alves formed the defense infront of Valdes. A win against Osausna at home will see FC Barcelona going back to the top of league, at least for 24 hours. After the recent exploits of Lionel Messi on the pitch, there has been calls to give the little maestro some deserving rest, especially ahead of the Champions League clash on next Wednesday. In the last three matches, it was all Lionel Messi and for that precise reason Guardiola will not leave him out of the squad. But there is a high chance of seeing him start from the bench for tonight's encounter and will be only called upon if the team is in trouble. Ideally I would have rested him for the Mallorca match, but our away form has been a bit tricky this season and it may be safe to take this risk in a home match. Osasuna always have been a tricky opponents for us. Their last visit resulted in a rare home defeat to Barca, even though with the La Liga title in the bags Guardiola only send a second string side. Earlier this season, Osasuna Held Barca to a draw. Osasuna has failed to win any of their last six matches and going through some difficult time. To make matters worse, Osasuna has a number of players in the injury list. News rooms around the world have been searching for adjectives to explain what they saw at the La Romareda stadium on Sunday night. Barcelona based media houses declared him the "Greatest in The History of the Game" after his second consecutive hat-tricks, media houses and fans around the world has seconded it. Madrid based newspaper were forced to give into the brilliance of Lionel Messi featuring him on the cover, may be not at the best of the spot. Messi with his consistent performances in recent weeks has re-opened the old debate of "Who is Better - Maradona or Messi?" 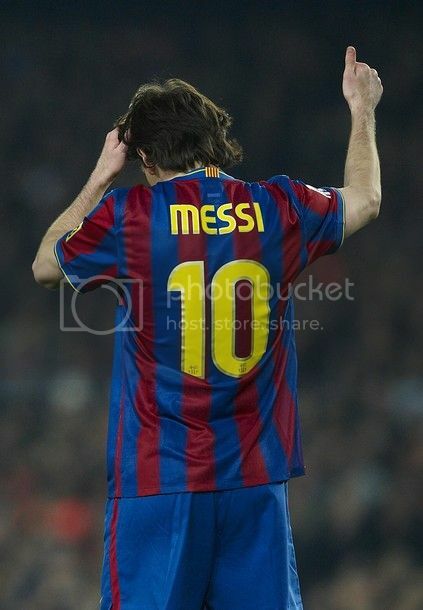 Many Barca fans has proclaimed him already as the best in the history, way ahead of Maradona. The Zaragoza coach, who was at the receiving end on Sunday declared and I quote - "Tonight, I saw Diego Maradona, but at more revs per minute". Cristiano Ronaldo might be feeling like he has put his foot in his mouth after recently overlooking Messi and declaring that Kaka, Rooney and Drogba are the only World class players around, ofcourse apart from himself. It looks like Messi has taken that snub seriously and has been in devastating form since then. Lionel Messi struck another Hat-Trick in the League to give Barca a 4 - 2 victory at zaragoza. This is Lionel Messi's second consecutive hat-trick in the league following his last week effort against Valencia. FC Barcelona raced onto a 3-0 lead by the 78th minute , but Zaragoza pulled two back through Colunga. 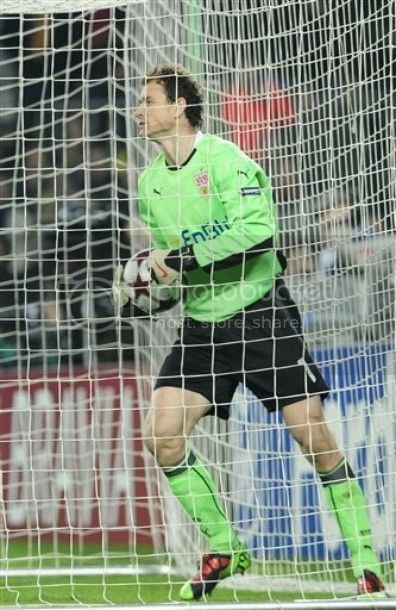 Ibrahmovic's penalty sealed the game for Barca at 4-2. Messi was expected to miss this match (Barca vs Zaragoza Preview ) but was declared fit and definitely made most by scoring three and creating another. Meanwhile his goal scoring partner Ibrahmovic had another wasteful night. Ibra wasted lots of chances and seriously looked well short of confidence. In the build up of this game, Guardiola has revealed his intension to rotate his squad. Iniesta and Puyol both started from the bench. The defense had Alves, Milito, Pique and Maxwell infront of Valdes. Toure, Busquets and Keita formed the midfield. Messi, Ibrahmovic and Pedro formed the front trio. Barca would be travelling to Zaragoza with uncertainity over Lionel Messi's participation. Lionel Messi missed the final training today morning and going by Guardiola's pre-match conference Messi may miss the match against Zaragoza. Zaragoza who got promoted this season is currently lying on the 17th position, three points clear of drop zone. Earlier in October, FC Barcelona Thrashed Zaragoza when they visited Camp Nou. Guardiola has announced a 19 man squad which will travel to Zaragoza - Pinto, Alves, Puyol, Piqué, Chygrinskiy, Milito, Maxwell, Márquez, Jeffren, Touré, Keita, Sergio Busquets, Iniesta, Messi, Ibrahimovic, Henry, Pedro and Bojan. Messi has been included in the list but will only participate if he is fully fit. In such a crucial juncture of the season Guardiola will not take risk with his star player. FC Barcelona has been drawn to face Arsenal in the Quarter Final stage of UEFA Champions League. FC Barcelona hold a slight advantage of playing their second leg at home. But as I wrote in the Preview to Quarter Final Draw, that advantage would amount to nothing against a team which plays the same way. 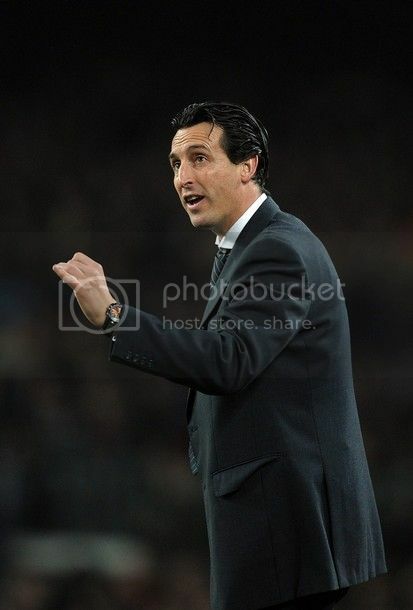 Arsenal vs Barca will be a treat for the neutrals, but for the clubs this might have come a bit earlier.FC Barcelona has better players on a one on one comparision to Arsenal but we all know the likes of Fabregas, Nasri, Arshavin etc are capable of. The last time these two teams met was in the final of Champions League 2005-06 in Paris. Barcelona emerged victorious in that match, but Arsene Wenger could be out here to extract revenge. Henry who played for Arsenal in that final would be facing his team mates for the first time after he has left. Fabregas meanwhile will be pitted against his childhood club and Arshavin against his favourite team. The first leg of the Quarter Final will take place on 30th and 31st of March and the second leg a week after. I was just going through the previous records of Arsenal and defeating Arsenal is not a great Omen, as all teams has lost out in the next stage. May be that's just a coincidence. With FC Barcelona and Bordeaux qualifying last night, we have clear picture of the teams which qualified for the Quarter Final stage. FC Barcelona, FC Girondins de Bordeaux, Arsenal FC, FC Bayern München, FC Internazionale Milano, Manchester United FC, Olympique Lyonnais and PFC CSKA Moskva are the teams which will battle out each other in the next stage of UEFA Champions League. There were some surprising results from the Knockout stage, Real Madrid's exit will top the list followed by Chelsea's exit. There are two teams from England and France and one each from Russia, Germany, Italy and Spain. For another season in row Barca represent the only Spanish challenge in the quarter final stage. The quarter final draw and the semi-final draw will take place on this friday at UEFA headquarters in Nyon, Switzerland. There won't be any seeding or restrictions in these draws, that means anyone can get paired with anyone. But the crucial factor will be to get the chance of playing the second leg at home, that is a hge advantage usually in Champions League. At this stage there could be no favourite for any team to face, as all are dangerous - but considering CSKA's success in Champions League stages, they could be everyone's favourite. In a performance which brought back memories from last seasons clash against Lyon, Lionel Messi lead FC Barcelona to a 4-0 demolition of Stuttgart at the Camp Nou tonight. In the build up of the match, Barca received a bad news in the form of Xavi being ruled out for the tie. He has injured his thigh and will be unavailable for two weeks. But that was the only thing which went against us. First half goals from Lionel Messi and Pedro killed the game; Messi added a second in the second half , while Bojan helped himself with a goal within first minute of his introduction. It was another Superlative performance by Messi which secured the match for us. Guardiola surprised many by deciding to start Ibrahmovic from the bench. Henry started in the centre, Messi on right and Pedro on left. The absence of Ibra meant we played at a very good tempo from the start of the match. 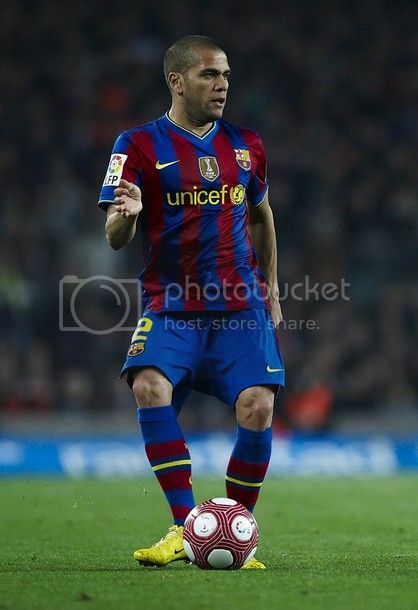 The midfield had Iniesta and Busquets and Toure playing the holding midfielder role. 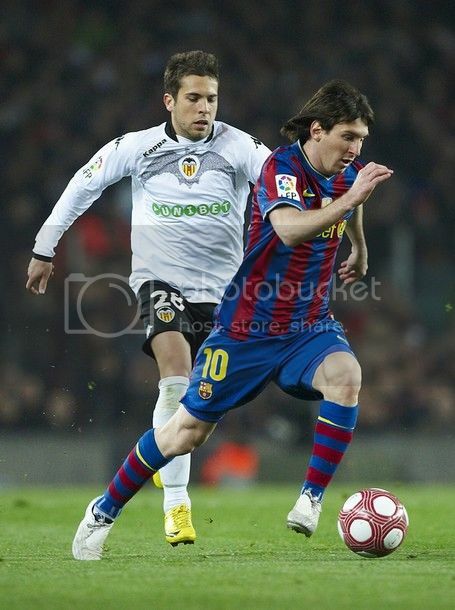 The defense had the usual look with Alves and Maxwell flanked on the each side of Puyol and Pique infront of Valdes. FC Barcelona will start as firm favourite to qualify for the next stage of this season's Champions league. Barca struggled at Stuttgart but escaped with a crucial away goal - FC Barcelona vs Stuttgart 1st Leg Match Report. Stuttgart may consider extremely unlucky for not winning that tie after causing serious concerns to Barca throughout the match. Eventhough FC Barcelona's Away form has not been impressive lately, they have been a real force at home. They are playing nowhere near last season's form, but has been somewhat confident at Home. This match has to be a clash between German Efficiency against the Spanish Flair. The failure of the likes of Chelsea and Real Madrid, to force home the advantage of playing the second leg at home should serve as a reminder for us about the risks involved in the tasks. Complacency is the last thing you want from your players ahead of such a crucial tie. Guardiola has already pointed that - he wants his team to score goal rather than rest on the crucial away goal, indeed a very wise startegy. Guardiola has almost the entire squad available for selection, except Keita. Should Ibrahmovic Start Against Stuttgart? Guardiola will be having his first choice Centre Forward back for selection in the crucial Second Leg clash against Stuttgart. But the question which is doing the round is whether He will or Not start with Ibrahmovic. Considering that Ibra is our only Centre Forward available, that could be a very stupid question. But you can't overlook the fact that the team played at a very good tempo in the absence of their main striker. Actually that has been a critism directed to Ibrahmovic in recent times, that he is killing Barca's quick plays, especially on counter. I firmly believed from the time of his signing that he may not be the best striker for Barca's game. But at this moment, we have only got him, and have to better live with him. Coming back to the question of Whether he should start against Stuttgart, there are enough fans on both sides of the answer for that. Bojan has been dissappointing in last match, but then Guardiola was crazy to start him and Pedro together and to top it, not to start him in the centre. 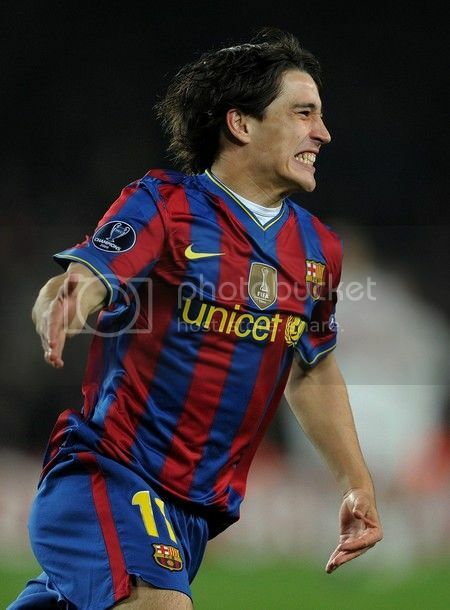 I personally would like to see Bojan starting at the centre against Stuttgart, due to the fact that he is more comfortable in interchanging his positions with Messi and Henry than Ibrahmovic. Ibrahmovic at time during recent matches has been too static and considering his goal scoring and creating record it shouldn't hurt us if he go with Bojan. Has Barca's Dream Run Ended? Is There Something Wrong with La Liga?